[S3] Registry of Births Deaths and Marriages Edwardian Index Victoria 1902-1913 "[par William TILLEY & Elsie Emilie LADD]." [S149] Electoral Roll for Australia, 1949 "Merv's name crossed out. Only his address showed 'Leytonstone.'" [S35] Probate Records, PROV (Public Records Office Victoria), VPRS 28/P8, unit 125; VPRS 7591/P4, unit 667. [S11] Newspaper - Argus 26 Nov 1921, p13. [S71] "Barbara Ladd, Email 8 May 2017." [S22] Victorian Government. BDM Index Victoria (online) "Diana's name as Diana Gore AITKEN." [S185] Property Titles. ; PROV (Public Records Office Victoria), C/T 5758-459 - Thomas Leslie Ashdown of 12 Portland Place South Yarra Farmer. [S185] Property Titles. ; PROV (Public Records Office Victoria), C/T 3344-752 - Thomas Leslie Ashdown of 12 Portland Place South Yarra Farmer. [S154] Electoral Roll for Australia, 1954 "Samford only mentioned in Wilfred's address." [S14] Newspaper - Canberra Times, 4 Jun 1947, p4. [S14] Newspaper - Canberra Times, 26 May 1945, p2. [S185] Property Titles. ; PROV (Public Records Office Victoria), C/T 8274-673 - Armstrong Matthews of Dewhurst via Emerald Orchardist as Administrator of the Estate of Richard Ernest Matthews late of Dewhurst via Emerald Orchardist deceased intestate. [S185] Property Titles. ; PROV (Public Records Office Victoria), C/T 8274-673 - William Leslie Knapton Orchardist and Joan Crofton Knapton Married Woman both of Old Emerald Road Upper Beaconsfield - joint proprietors. [S22] Victorian Government. BDM Index Victoria (online) "#D11130 birthplace Geraldton WA." [S101] Electoral Roll for Australia, 1903 - 1980 "1934 + 1942." [S101] Electoral Roll for Australia, 1903 - 1980 "1954." [S11] Newspaper - Argus 6 Feb 1857, p4. [S14] Newspaper - New Zealand Mail, 3 April 1891, p30. BOYD, ARTHUR MERRIC (1862-1940), artist, was the father of WILLIAM MERRIC (1888-1959), potter, and THEODORE PENLEIGH (1890-1923), artist. VPRS 28/ P3 unit 3393, item 315/709. [S11] Newspaper - Argus 19 Jan 1886, p1. 30 Jan 1891, New Insolvents. 15 Jun 1891, Insolvents Discharged. [S11] Newspaper - Argus 18 Feb 1858, p4. [S14] Newspaper - Otago Daily Times (New Zealand), 2 Feb 1864, p4 and 16 Feb 1864, p4. Marriage* 1909 Spouse: Ruby Gertrude Roberts. TAS, Australia. Death-Notice* 4 Dec 1935 BOYD.—On the 4th December, at Glenmore, Bacchus Marsh, Reginald Septimus Boyd, husband of Gwendolyn E. Boyd. Autumn inted flowers in the church and at the reception matched those carried by the bridesmaids against their creamy chiffon frocks when Miss Gwendolyn Julie Boyd and Mr. Roger Leo Crivelli were married at the Melbourne Grammar School Chapel on Wednesday of last week. The late afternoon sunshine glinting through the windows of the little chapel lit up the vivid gladioli, maple leaves and chrysanthemums which were massed by the chancel steps and formed a lovely background for the bride in her snowy satin gown. The frock was very lovely, relying on the simplicity of its cut to show off the gleaming satin. The bodice had its folds caught into shirring at the base of the V neckline, and the long close-fitting sleeves were finished over the hands in tiny points. Cut on the bias the skirt clung softly to the figure and swirled out behind into a long train which was covered by the truly beautiful veil of Limerick lace mounted on frothy tulle. This veil, which had been lent to her by Mrs Percy Howard, was caught to her head by a high tiara of creamy pearls sewn together in rows, and she carried a lovely bouquet of Sunny Morn roses, which trailed softly down her frock. The bride, who was given away by Mr W. F. Weigall, is the elder daughter of the late Mr Reginald Boyd and of Mrs Boyd, 10 Bruce Street, Toorak, and the bridegroom is the youngest son of Dr. and Madame Marcel Crivelli, of Arrov, Shipley Street, South Yarra. [S14] Newspaper - Otago Daily Times (New Zealand), 28 Jul 1870, p2. [S14] Newspaper - Australasian (Melbourne, Vic. : 1864 - 1946), Sat 9 Jun 1900, p46. A pretty wedding was celebrated at St George's Church, Malvern, on September 15th at .... between Montague Kirby, youngest son of the late Captain Boyd, Glenfern, Hotham-street, East St. Kilda, Evelyn, third daughter of the late James Cosmo Newbery, C.M.G., Waratah, Hotham-street, East St Kilda. The ceremony was performed by the Rev. C. De ..., and a choral service was held. The bride, who was given away by Mr. Andrew Newell, wore an Empire gown of flowered .... ... glacie silk, trimmed with lace and ... veil of Limerick lace, and orange blossom. The bridesmaids, Miss Panton and Miss Newberry, were in pale-blue silk.... and pink roses; and the two little bridesmaids, Miss Grace Fuller and Miss Rolly Thompson, wore white silk dresses with wreaths of forget-me-nots. nations. The best man was Mr. Leslie White, and groomsman Mr Penligh Boyd. [S14] Newspaper - Otago Daily Times (New Zealand), 2 Oct 1873, p3. 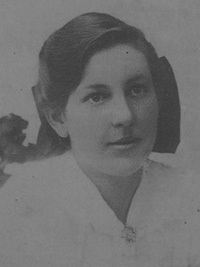 Death-Notice* 14 Sep 1936 BOYD.—On the 13th September, at Sandringham, Emma Minnie, beloved wife of Arthur Merric Boyd. Note* John Gilbert a'Beckett (known as Gilbert), born October 1886. In his tenth year he was thrown from his pony and killed at Berwick, Victoria, where he is buried in Berwick (General) Cemetery. [S50] Miscellaneous Source, http://www.artema.com.au/Boyd/aus_nz/gilbert.htm (no longer available). Marriage* 12 Oct 1915 Spouse: Doris Lucy Eleanor Bloomfield Gough. BOYD, GUY MARTIN à BECKETT (1923-1988), sculptor and potter, was born on 12 June 1923 at Murrumbeena, Melbourne, third child of William Merric Boyd, potter, and his wife Doris Lucy Eleanor Bloomfield, née Gough, a painter. Grandson of the painters Arthur Merric and Emma Minnie Boyd, nephew of the novelist Martin Boyd, cousin of the architect Robin Boyd, and brother of the painters and potters Arthur and David Boyd, Guy never doubted his vocation as an artist. He chose sculpture, he said, because in painting he could not compete with Arthur, the brother he always revered. The à Beckett family fortunes, on which his father depended, dwindled to nothing in the Depression years. Guy and his brothers, for whom a Murrumbeena state primary school education had to suffice, took labouring jobs. In 1941-46 he served in the Militia. A committed pacifist, he refused to bear arms and worked at first as a draughtsman. Conflicts with his superiors were resolved when he was posted in 1944 to the 103rd Convalescent Depot, Ingleburn, New South Wales, to teach pottery to the patients. Conservative in his views on religion and family life, but ready to defy the law for his pacifist beliefs; ambitious to make his name in art, but selflessly dedicated to causes that depleted his energies, Boyd was a man of great charm, good looks and gentleness, with an inflexible will. In his remarkable family, he was never just `another Boyd’. He died on 26 April 1988 from coronary artherosclerosis and was buried with Anglican rites in Brighton cemetery. His wife, and their five daughters and two sons, survived him. Boyd had held one-man exhibitions in all Australian capital cities and in London, Montreal, Chicago and New York. His work is represented in the National Gallery of Australia and in the State galleries of Victoria, New South Wales and Queensland.3 William Merric, known as Merric, was born on 24 June 1888 at St Kilda, and attended Haileybury College and Dookie Agricultural College. Unsuccessful as a farmer at Yarra Glen, at one time he considered entering the Church of England ministry; he was the model for 'a difficult young man' in Martin Boyd's novel under that title. However, in 1908 at Archibald McNair's Burnley Pottery, he successfully threw his first pot. His parents helped to provide a workshop for him at Murrumbeena and pottery kilns were established there in 1911 (destroyed by fire in 1926). Select Bibliography: A. von Bertouch and P. Hutchings, Guy Boyd (1976); B. Niall, The Boyds (2002). Print Publication Details: Brenda Niall, 'Boyd, Guy Martin à Beckett (1923 - 1988)', Australian Dictionary of Biography, Volume 17, Melbourne University Press, ??? ?, pp 133-134. Marriage* 15 Oct 1912 Spouse: Edith Susan Gerard Anderson. Paris, France. Death-Notice 30 Nov 1923 BOYD.-Friends of the late Mr. PENLEIGH BOYD are informed that his remains will be interred in the Brighton Cemetery. 24 Jan 1924, DEATH OF MR. PENLEIGH BOYD - EVIDENCE AT INQUEST. Result of Accident. WARRAGUL Tuesday -The adjourned inquest concerning the death of Mr Theodore Penleigh Boyd, the well known artist was concluded to-day before Mr E J Hunter, deputy coroner, in the Warragul courthouse. Merric Boyd, artist potter, of Murrumbeena and brother of Penleigh Boyd, gave evidence of identification. He stated that his brother was an expert motor-driver and a man of temperate habits; also that he had been a sergeant in the motor transport corps of the Australian Imperial Forces in France. The evidence of Lieut Colonel Hurley, of the Commonwealth immigration office, taken at Cooinda private hospital, Warragul on December 28, was read. It indicated that a good journey was made from Melbourne to Warragul. The party did not stop at Warragul, and all went well until the car was approaching a sharp turn at Nilma at a speed of 25 to 30 miles an hour. Mr Penleigh Boyd, who was driving swung the car out wide to round the turn and the left front wheel of the car ran over the bank, which was about two feet high. After the car had run along the grassy bank for 30 yards, Mr Boyd tried to regain the road, but the car overturned killing Mr Boyd and rendering Lieut Colonel Hurley unconscious. Norman Roger, manager for the Wertheim Piano Co, a resident of Warragul, said that he was motor-cycling from Nilma to Warragul on the afternoon of the fatality, and when within a few yards of the turn he heard two clashes. He dismounted and ran to the car, which had regained its normal position and found Mr Boyd and Lieut Colonel Hurley under the car. With the assistance of other motorists he extracated them, rendered aid, and sent for doctors. Sergeant Ryan stated that on arriving at the scene of the accident he saw the car standing upright on the grass and facing in the opposite direction to that in which the party had been driving. The hood and windscreen were smashed to pieces, and the steering gear bent and damaged. Drs Trumpy sen and jun, pronounced Mr Boyd dead and ordered the removal of Lieut Colonel Hurley to Cooinda private hospital. Sergeant Ryan further stated that apparently both Mr Boyd and his companion were sober at the time of the accident. Male, Boyd, Theodore Penleigh, Car accident, Warragul, 1924/44, 15 Jan 1924,. [S11] Newspaper - Argus 24 Jan 1924, p9. Writer and poet, born in Lucerne, Switzerland, the younger son of Arthur Merric Boyd and Minnie a'Beckett. Brought up in Melbourne, he Trinity Grammar School in Kew as a boarder. He then studied theology at St John's College in 1912 but left within a year. He then articled to the firm of Purchas and Teague to train as an architect. In 1927 he wrote 'Domestic Architecture in Australia' a summary of the ideas he developed in his time with Purchas and Teague. His first novels, such as The Montforts (1928), appeared under pseudonyms. Langton series of Novels had their impulse on his dicovery of his grandmother a'Beckett's diary at the Grange. 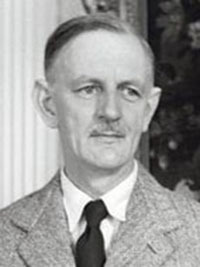 BOYD, MARTIN à BECKETT (1893-1972), author, was born on 10 June 1893 at Lucerne, Switzerland, fourth son of Arthur Merric Boyd and his wife Emma Minnie, née à Beckett. His parents, both painters, were then touring Europe, accompanied by their elder children, Gilbert, William Merric and Penleigh. 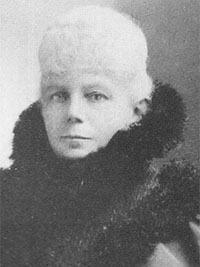 Travelling with them was Emma Minnie's mother, Emma à Beckett, matriarch of the family, whose private fortune (the legacy of her ex-convict father John Mills, founder of the Melbourne Brewery) supported the Boyds. In March 1890 Emma's husband William Arthur à Beckett had bought Penleigh House, Wiltshire, from a cousin: they intended to divide their time between the Grange—their home at Harkaway, outside Melbourne—and the Wiltshire property. Living at the Grange proved lonely and disappointing; there was little left of the life Boyd remembered, and, as in 1919, he was seen as 'too English'. Lucinda Brayford was ignored in a literary climate which devalued expatriate writing and Boyd found his reputation obscured by the rising stars of his nephews, Arthur and Robin Boyd. The one great gain, however, was the new perspective on his past: it provided a new subject which he took back with him to England in 1951. The Langton series of novels—The Cardboard Crown (1952), A Difficult Young Man (1955), Outbreak of Love (1957) and When Blackbirds Sing (1962)—had its initial impulse in Boyd's discovery of his à Beckett grandmother's diaries at the Grange. Having failed to make the past live again at the Grange, Boyd made enduring art from that failure. The first three novels won high praise in Britain and the U.S.A; in spite of their Anglo-Australian themes and settings, they were scarcely noticed by Australian reviewers. Select Bibliography: B. Niall, Martin Boyd (Melb, 1988), and for bibliography; Martin Boyd papers (National Library of Australia); Emma à Beckett diaries (National Library of Australia). Print Publication Details: Brenda Niall, 'Boyd, Martin à Beckett (1893 - 1972)', Australian Dictionary of Biography, Volume 13, Melbourne University Press, 1993, pp 235-237. [S80] Ancestry - Family Tree, dawesj. 17 Jan 1935, WEDDING - Read-Boyd - A charming wedding was celebrated at Christ Church, South Yarra, yesterday afternoon when Helen a'Beckett, only daughter of Mr. and Mrs. Arthur Boyd, of 5 Edward street, Sandringham, was married to Lieut.-Commander N. R. Read, second son of Mr. and Mrs. J. D. Read, of Springhurst, Victoria. The officiating clergyman was the Rev. L. Townsend. The bride, who was given away by her father, wore a lovely gown of pale crocus yellow chiffon with two soft folds of the material banding the high neck in front, and tying In a bow at the back. Two graceful panels flowed from the hips and fell softly below the hem of her gown. A wreath of leaves In lovely autumn-tinted shades bound her hair, and her bouquet was of miniature golden arum lilies. [S11] Newspaper - Argus 17 Jan 1935, p12.